Navigating the world of dating can be difficult for any man or woman. Many singles have a particular "type" of person that they prefer to date. For some, this preferred type is a musician. If you happen to be particularly interested in dating a pianist, there are some dating tips to keep in mind. It is best to remember, though, that there is no "perfect" set of rules for dating a pianist, since all pianists, like all people, are different. Dating a pianist can be a fun experience. Get to know the person underneath the persona. 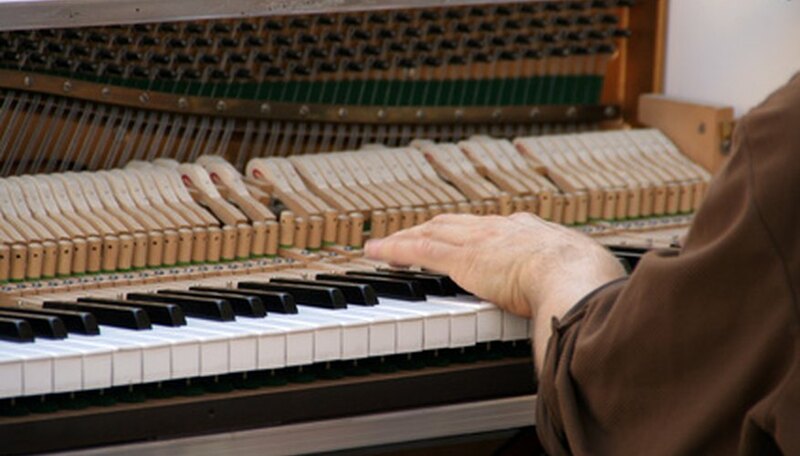 The man or woman whom you see playing the piano in public might be very different from his or her real personality. Some people project one personality in order to entertain, but they may have a different set of personality traits when not in the limelight. The only way you can get to know the real person is to spend time together. Inquire about the person's experience with the piano. Many pianists are passionate about their craft and would love to tell you how they learned the instrument, as well as what role music plays in their lives. Before you "tickle the ivories" in a pianist's home, always ask first. It may be his prized possession. You might want to test it out, but you should ask first out of courtesy. Inquire about rehearsal and performance schedules early in your dating relationship. Some pianists have rigorous schedules, and you should know what you're getting into in terms of time commitments. Occasionally offer thoughtful gifts that have to do with music. For instance, you might consider giving a music book or CD of the pianist's favorite artist. Johnson, Charlotte. "How to Date a Pianist." Dating Tips - Match.com, https://datingtips.match.com/date-pianist-6731505.html. Accessed 24 April 2019.